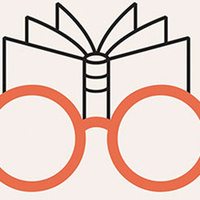 Join the host of the hit podcast, Harry Potter & The Sacred Text, Vanessa Zoltan as she brings thought, reflection and laughter to Harry Potter; not just as novels, but as instructive and inspirational texts that teach us about our own lives. Relive the magic chapter by chapter as various themes are explored. This five-star rated podcast reached #2 on the iTunes chart the first summer it released, and creates time in your week to think about life’s big questions. Because reading fiction doesn’t help us escape the world, it helps us live in it.